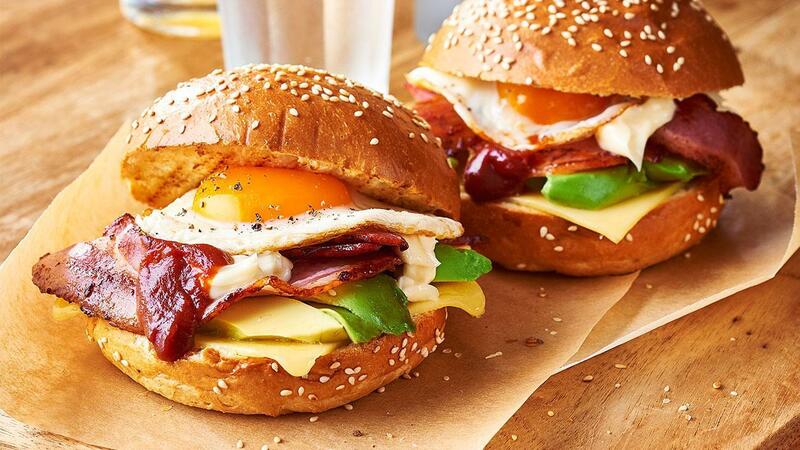 Mini buns loaded with bacon and eggs. Fry eggs sunny side up. Grill buns, and place cheese on bottom half and melt. Top cheese with avocado, bacon, egg, HELLMANS Real Mayonnaise and KNORR American Chipotle BBQ Sauce.